Pardon the pun, but the sock market stinks. You never have enough pairs, they’re way too expensive and when you lose one, the other’s useless. There must be a better way. 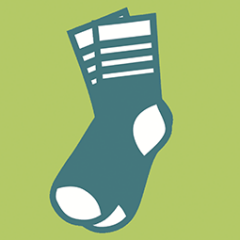 We offer high-quality socks that are both environmentally friendly and affordable (we know, it’s amazing – those two things don’t usually go together). We send them to your door – 3 pairs, every 3 months for only $20 bucks a pop! Get on it – it’s a revolution baby!